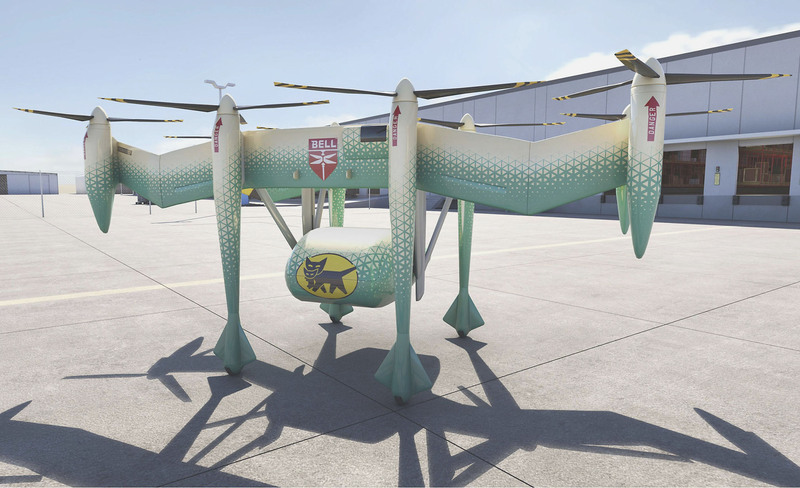 Yamato Holdings Co. said Friday it has agreed to jointly develop an unmanned cargo aircraft with Bell Helicopter Textron Inc. of the United States, aiming to launch the “flying truck” by the mid-2020s amid a labor shortage in the logistics industry. Yamato said it will develop the cargo container, while Bell will build the body of the autonomous aircraft. The companies expect the vehicle will carry cargo weighing up to 453 kilograms at 160 kph, be able to take off and land vertically, and cruise horizontally. Japanese logistics companies are keen to introduce cutting-edge technologies such as robots and drones to address a shortage of delivery staff and enhance business efficiency. In a related move, the government has begun discussions with private businesses on the practical use of flying cars, with a goal of commercializing them in the 2020s. Such vehicles are expected to help ease traffic jams in urban areas and be used in mountainous regions and remote islands, as well as in the event of natural disasters. In May, Yamato, the country’s leading door-to-door courier firm, announced its annual group operating profit grew for the first time in three years on the back of its fee hikes last fall. In fiscal 2017, Yamato’s operating profit grew 2.3 percent year-over-year to ¥35.7 billion, the parcel delivery service group said in its earnings report. Yamato’s operating profit had flagged in recent years due to swelling delivery costs amid a labor shortage. But its profitability improved after the company raised parcel delivery fees for individual customers by an average 15 percent and also implemented a price markup for online retailers and other business clients.